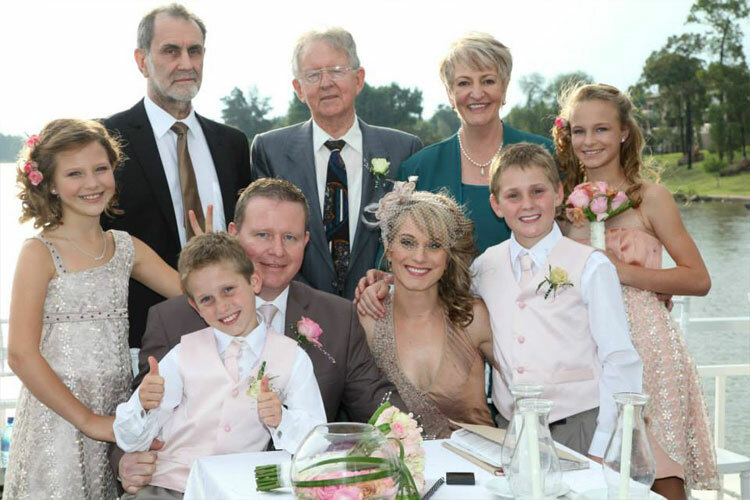 As you are bound to be on a tight budget when it comes to the design and planning of your wedding day, the best option is to find a reputable wedding venue in the Vaal Triangle that can cater to your every need and have competitive rates at the same time. Sounds impossible? – it is possible at Liquid Lounge. A very good point to remember is that you only need the basics in terms of venue and the rest of the “dressings” are done by hand. In other words, you can make the simplest of venues magical and beautiful by simply adding a few extras to the mix. Are you getting married in the Vaal Triangle and looking for a wedding venue for your dream wedding? Here are a few tips and aspects to consider before choosing a wedding chapel in the Vaal Triangle. 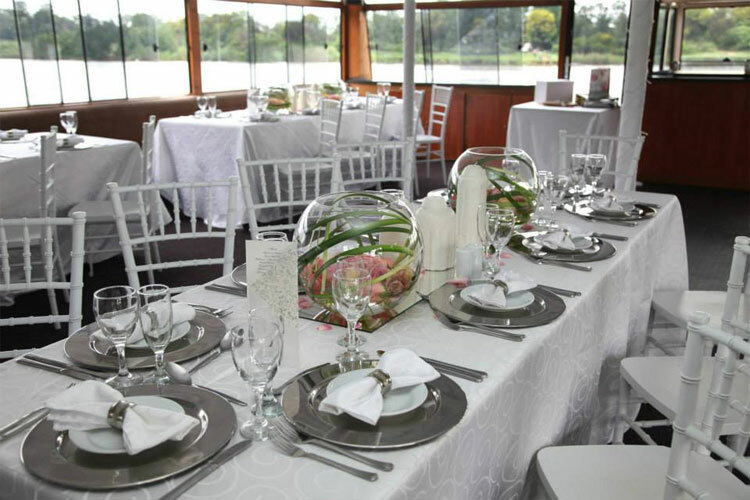 If you would like more information about the Liquid Lounge, an exclusive Vaal Triangle wedding venue including a spectacular river cruise, contact our friendly team to make an appointment today. We guarantee that you will be greatly impressed by our beautiful and unique wedding venue. Beautiful grass or practical alternatives like paving or cement. An indoor as well as an outdoor area. An area where preparation can be done that includes a washing up area or kitchenette. Suitable general space for your required amount of guests. If you have these basic facilities at the wedding venue, you will be able to add all the needed extras to make it look simply beautiful. Fairy lights for the surrounding shrubbery and trees. Drapes, ornaments, chandeliers and paintings. All ornamental furniture and accessories. Alternative comfortable seating for instance couches and loungers. A podium or alternative thereof. The planning of the area where the actual ceremony will take place. Many a bride-to-be has conquered the mountainous task of the planning and implementing the contacting of a wedding venue for her special day, but if you are just not up to it, rest assured that there are professional wedding venues that will manage all the needed details of your special day on your behalf. 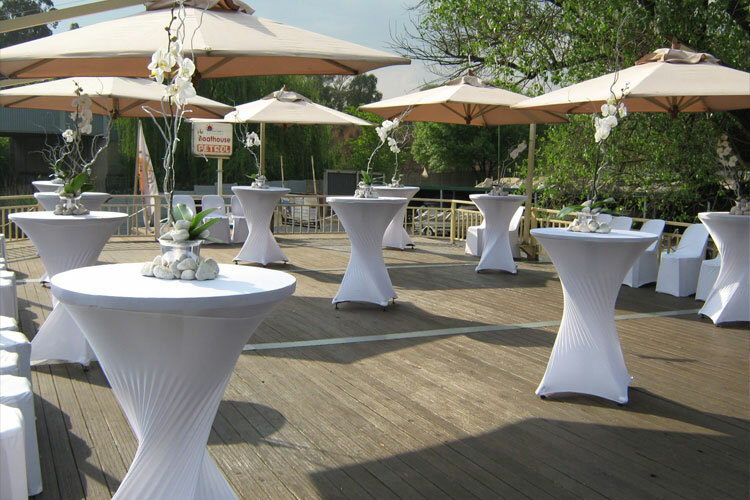 Why choose The Liquid Lounge as your wedding venue in the Vaal Triangle? 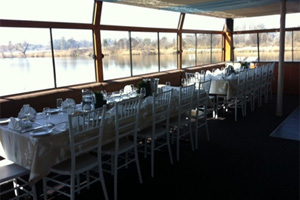 The Liquid Lounge is a unique Vaal Triangle wedding venue that cruises down the immaculate Vaal River. 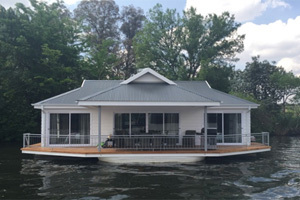 You and your guests will enjoy the beautiful scenery offered by the naturally beautiful surrounds of the Vaal River. Our staff members are trained and experienced in wedding functions, and will ensure that your wedding day runs smoothly aboard our River Cruiser. You can choose from different style setup including a formal buffet dinner or cocktail setup aboard our deck. Catering by our qualified chefs at this wedding venue in the Vaal Triangle will meet your every expectation, adding to the memories of your special wedding day. A cash bar is available to your guests, and a dance floor will be arranged for you and your partner to enjoy your first dance on. Our team is experienced in wedding setups, and we will handle the complete setup of décor for the day according to your wedding theme and requirements. Should you require more information about this wedding venue in the Vaal Triangle, contact the Liquid Lounge today! Our friendly team will gladly answer all your questions, and supply you with a very reasonable quote for your special wedding day. If you are looking for a Vaal River wedding venue, there is none more unique that the Liquid Lounge. The Liquid Lounge is a very unique wedding venue, because instead of being located on the beautiful banks of the Vaal River, this venue actually cruises down this majestic River of the Vaal. You and your guests will be treated to a river cruise during your reception, creating a memorable wedding day for the bridal couple and the guests. 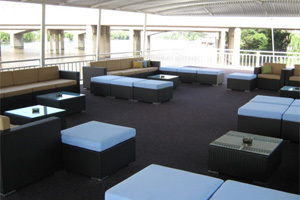 The Liquid Lounge river cruise boat has hosted many beautiful weddings on its decks, and have received numerous compliments of being one of the best wedding venues in town. 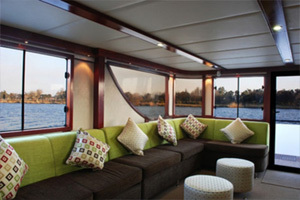 While cruising down the beautiful Vaal River, you and your guests can enjoy each other’s company, while sipping on refreshing cocktails and taking in the beauty of the natural surrounds. If you are dreaming of a Vaal River wedding venue, contact the Liquid Lounge today – you won’t be disappointed in our beautiful venue. Planning a wedding can be a difficult and time consuming task! If you have just started planning the wedding of your dreams, and feeling a little overwhelmed with choices, take a deep breath and relax. Planning a wedding is fun. Most women have planned their dream weddings in their minds since they were little girls. The theme and venue are probably two of the most important aspects, as this will help create the wedding vibe you have envisioned. If you have booked the Liquid Lounge as your wedding venue in the Vaal Triangle, congratulations! You will not be disappointed in this unique venue, catering and service. Let’s get down t business – here are a few wedding planning tips to get you more organised, and help you remember the important things. For more information about the liquid Lounge wedding venue, talk to us today. Happy planning!